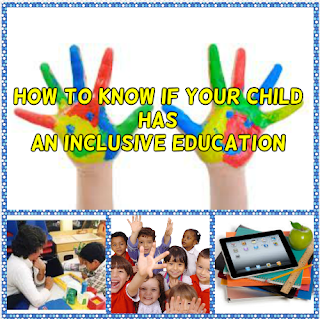 Inclusive education is an approach to education that includes all learners, regardless of ability. It is not a program or teaching strategy. In fact, inclusive education is a school- wide philosophy that is practiced by all members of the school community. It’s benefits, too numerous to list, is regarded by special education experts, to be the gold-standard in delivering educational services to students with special needs. Unfortunately, many schools claim they provide an inclusive education but fail to live up to the beliefs and practice of inclusion. For example, a school may state they have an environment that includes all learners, yet still offer a classroom only for students with moderate to severe disabilities. Despite an earnest attempt, inclusion has no boundaries, rules or guidelines about who or who cannot be included.